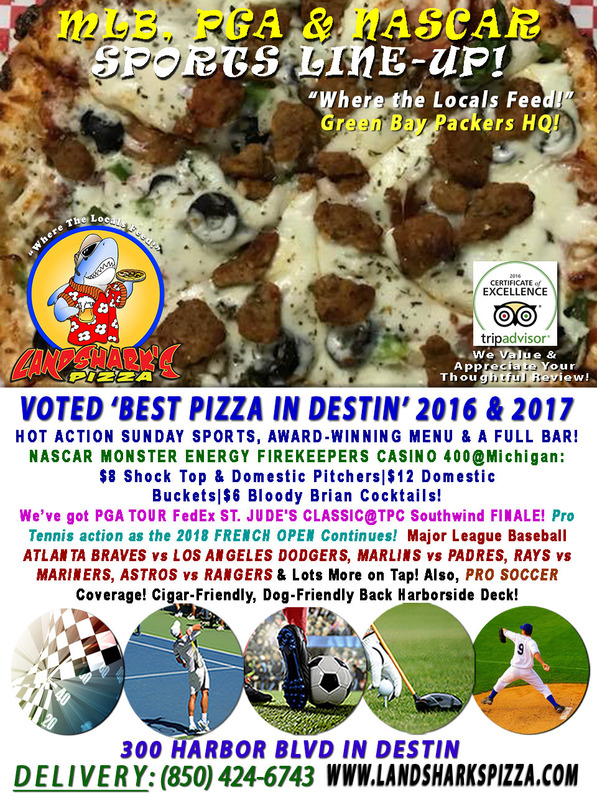 Landshark’s U.S. OPEN FINALE, RAYS vs YANKEES, NASCAR AMERICAN ETHANOL 250 & LOTS More! 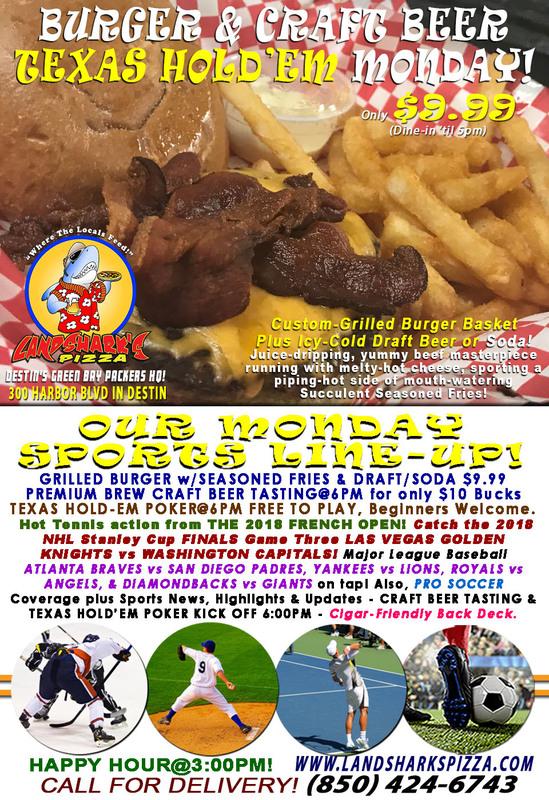 Landshark’s NASCAR FIREKEEPERS 400 $8 Pitchers, $12 Buckets & More! 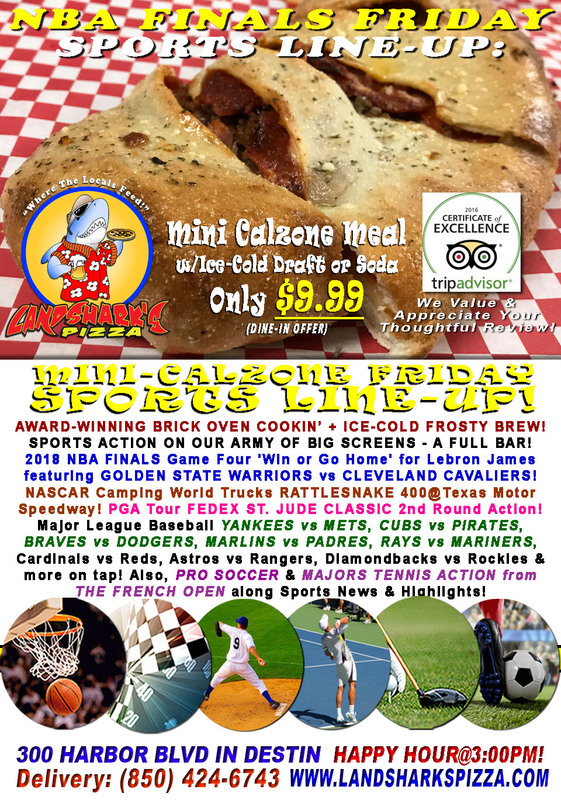 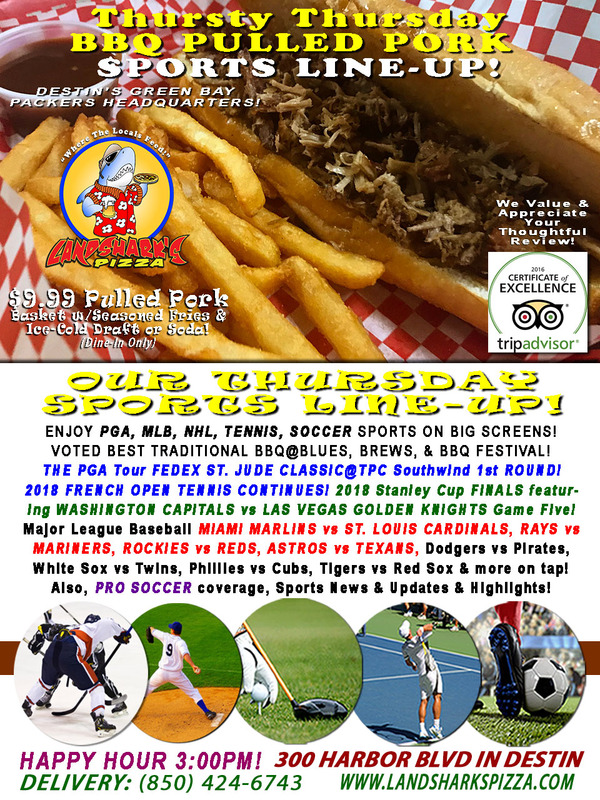 MLB, PGA Finale, FRENCH OPEN & More! 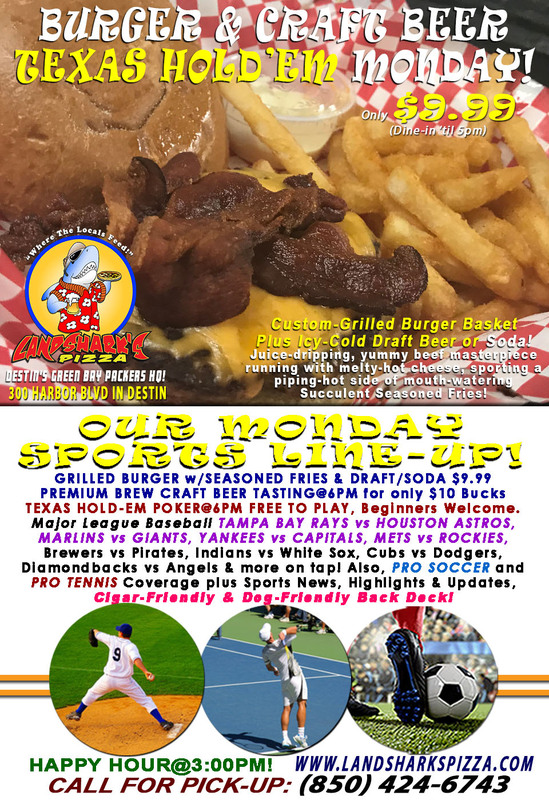 Landshark’s LIVE MUSIC@5:30 Parrotheads & GOLDEN STATE WARRIORS vs CLEVELAND CAVALIERS Game Four, NASCAR & More! 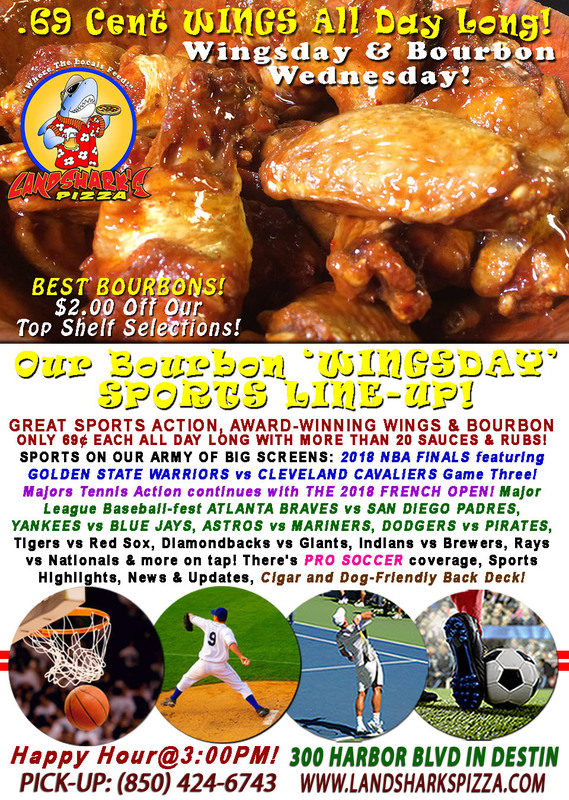 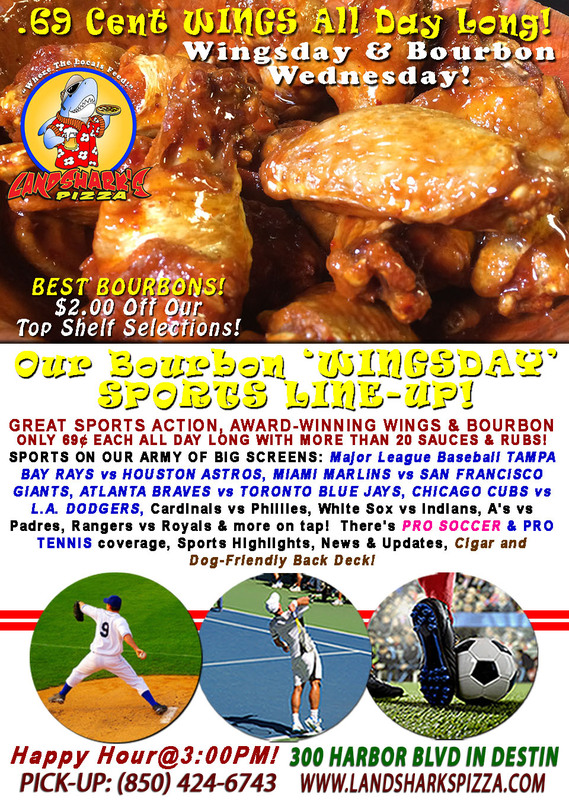 WINGSDAY NBA Finals WARRIORS vs CAVALIERS, FRENCH OPEN & Landshark’s Wings only 69¢ Ea & $2 OFF ALL BOURBONS! 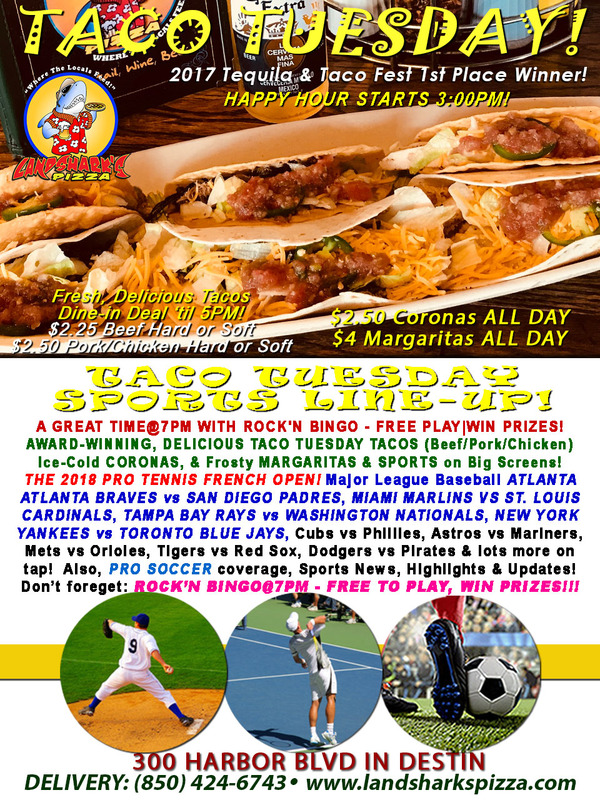 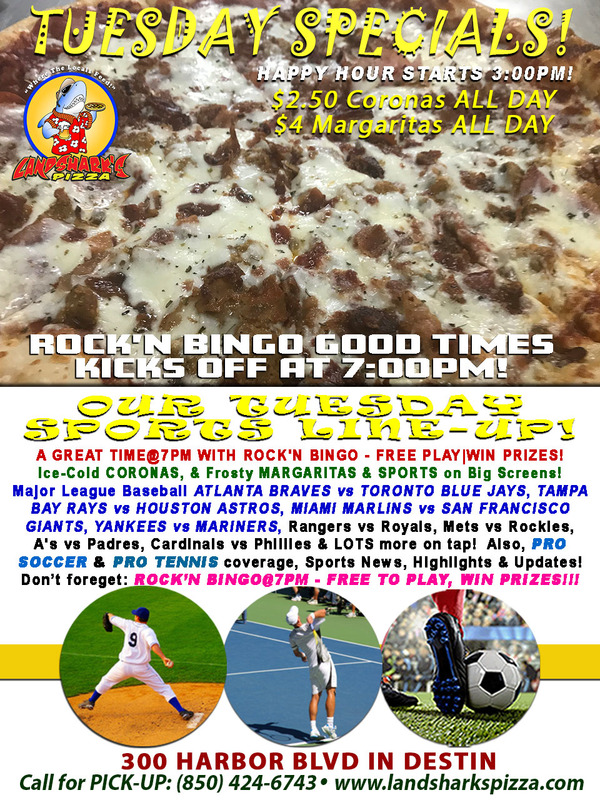 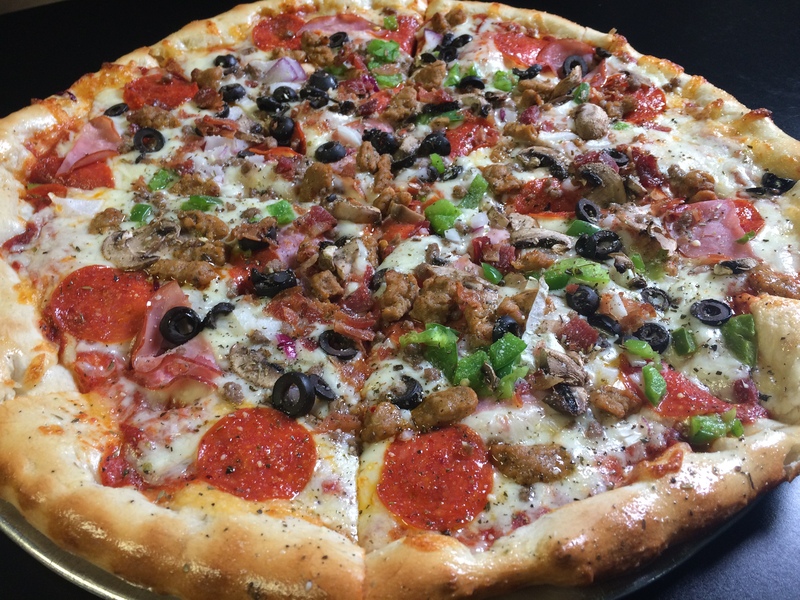 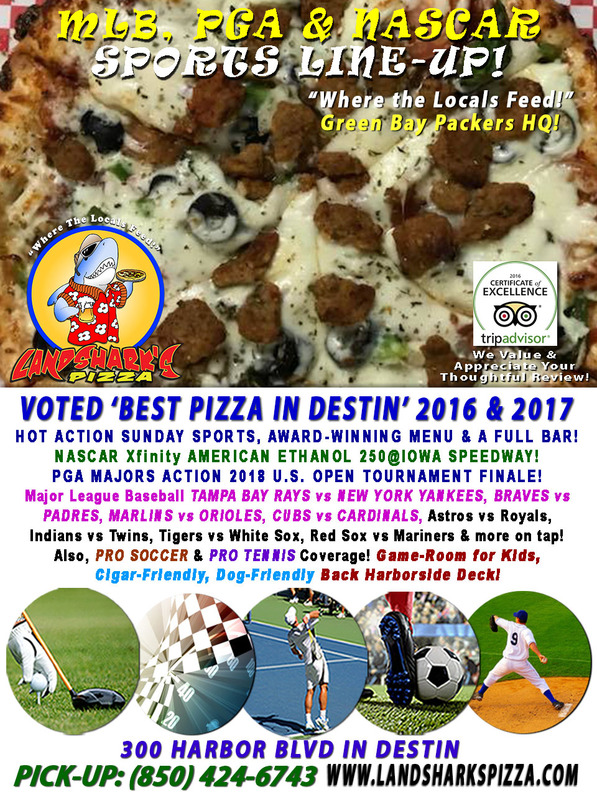 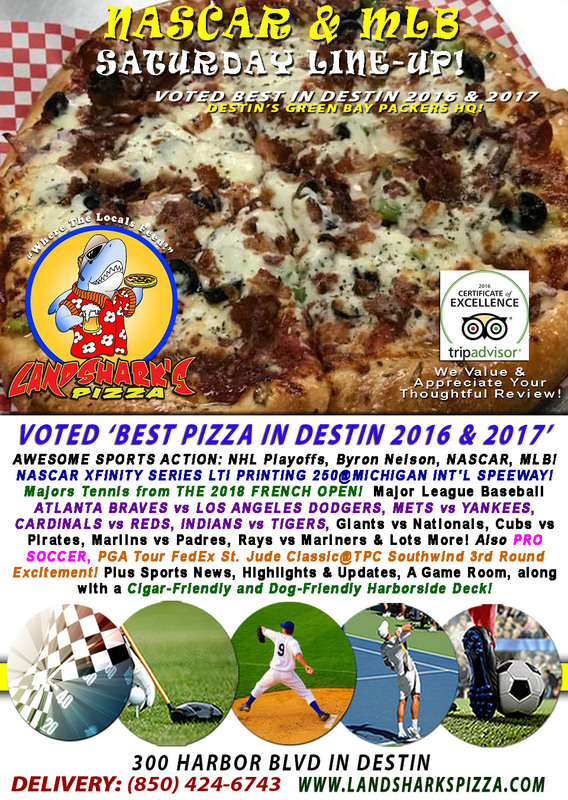 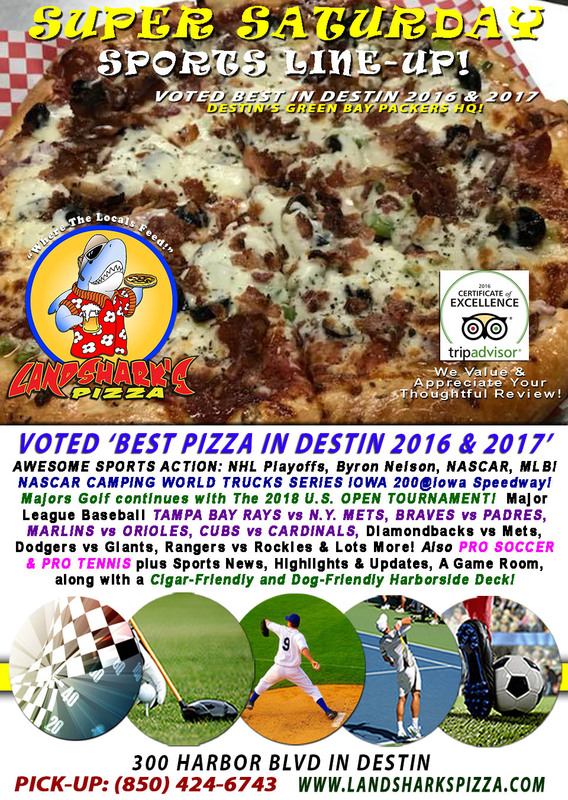 Landshark’s Taco Tuesday 2018 THE FRENCH OPEN, BRAVES vs PADRES, Marlins, Yankees & Tons More|ROCK’N BINGO FUN at 7PM!